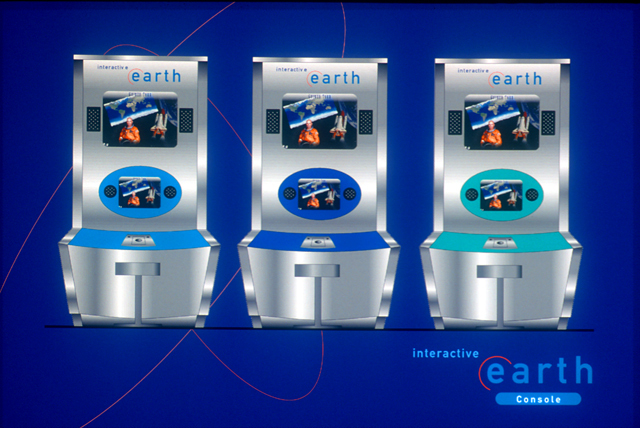 In collaboration with Worldlink, creator of Interactive Earth, Whirlwind has developed multiple concept kiosk designs to house this virtual exploration of the earth from space. 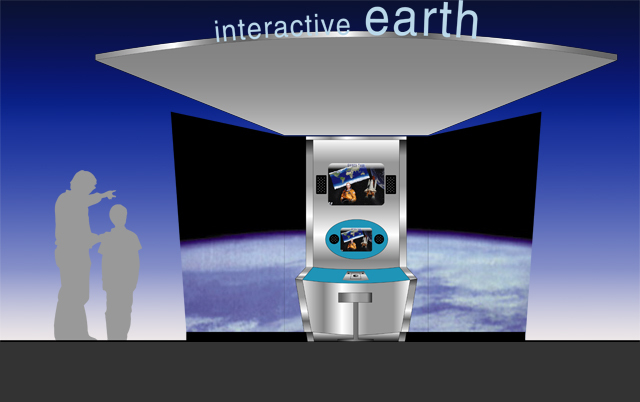 The program encourages the user to examine the earth from above, making comparisons of natural and human occurrences and recognizing patterns in change over time. 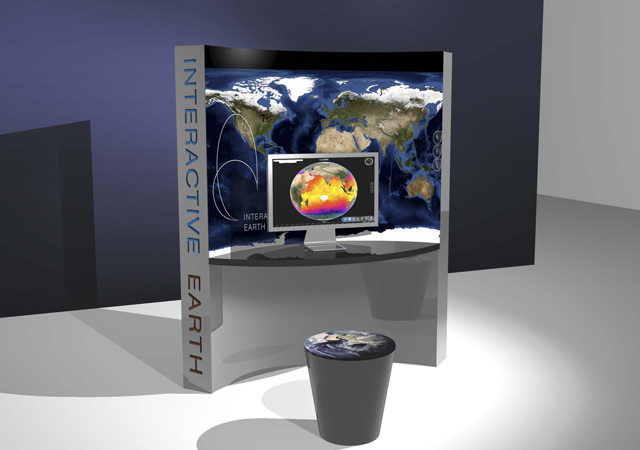 Multiple layers allow the pilot of the program to change the visualization of the earth from space, be it weather patterns, ocean currents, population, energy use, forestation and more. 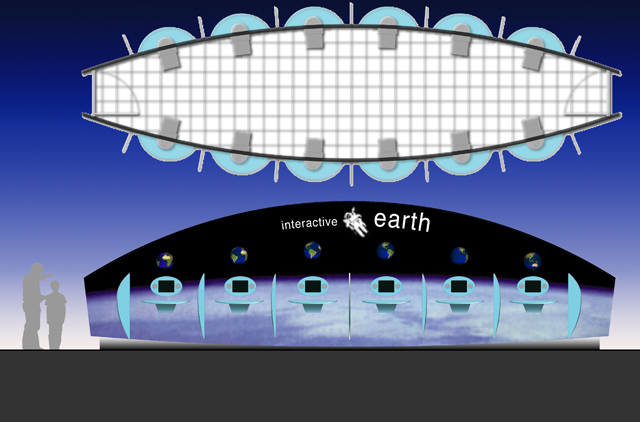 The click of the switch can at anytime take you from a spherical earth to a flat map, glimpsing the earth’s continents from a single vantage point.